After a fairly inauspicious start with our plane getting turned back to Nadi due to weather and a fair amount of child vomit on the flight we had an amazing time at Jean-Michel. The staff are amazing, it is fantastic for the kids, food is brilliant and the activities are top notch. We will be back! It was a great holiday, we loved the food, bure, diving, snorkelling, nannies, staff and friendly atmosphere. Beach not fantastic, but loads of fish and tans to makeup for it. Whole experience was AMAZING. Food, Staff everything was FABULOUS can't wait to go back. 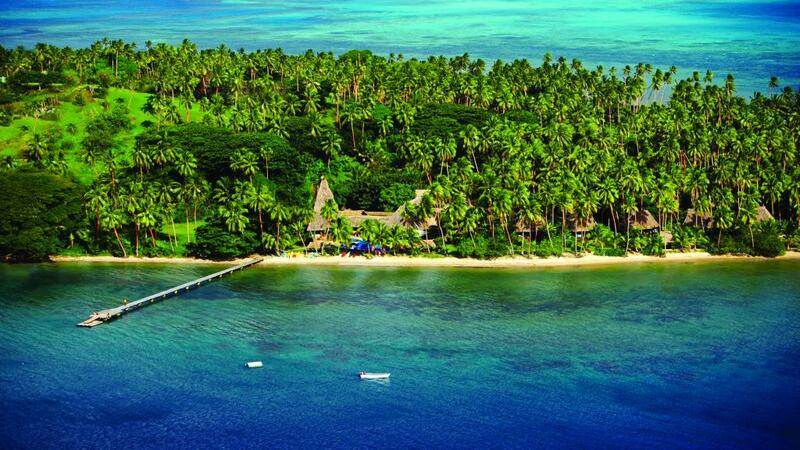 Absolute heaven on earth can best describe our latest Fiji destination. After hearing wonderful stories about the place from my sister, it was time for us to check it out for ourselves. We were not disappointed. Everything surpassed our expectations and we are already looking to return, this time for our honeymoon in the very near future. What makes any resort is its staff and like any Fiji resort or hotel, this staff was exceptional. The food was five star and never lacking and the amenities and accommodation just fantastic. So many activities to choose from each and every day allowed us to do lots or simply nothing if we chose to. The pier dining was a highlight as too, the private island escape which we did as a family. Five stars all round! Thank you JMC! We really enjoyed this resort and would have no hesitation going back. I would strongly recommend this resort to young families who are looking for a holiday where they have a very well run kids club. The parents can have some time alone and not worry about them. The Mum's and Dad's looked relaxed and the kids where having a ball. Not one sad face amongst them. Maybe just a little tired after a full days activities. We travelled with our sons (ages 7 and 9) and as tired parents were looking for a week of relaxation (young boys don't like to relax ever!). The resort strikes the perfect balance between encouraging family time, but keeping the kids active so that parents can enjoy some time to themselves. No TV and the boys didnt ask for electronics all week, because they were having so much fun. In addition, the activities were educational (environment, culture). Food and service was amazing. Only challenge was getting a good sleep because some other families had crying infants so next time we would consider a bure on the point. Excellent Kids Club. Great snorkling and diving. Amazing food every meal. Very friendly and helpful staff. This is the most incredible resort. out children - 5, 8 & 10 - had the time of their lives and we had to seek them out to spend time with them. Beautiful food. Beautiful staff. Beautiful location. Beautiful vibe. Can't remember a place so perfect.